What Is Stopping You From Succeeding Online? Have you ever thought that it is too difficult to make money online? There seems to be so much to learn, have you been burnt by marketers selling you the next best system for making money online which simply did not make any money (except for them). Was the system too complicated? What was the product support like? Did it deliver what it said it would? If you answered yes too even one of these questions then that would be enough to put anyone off for life. 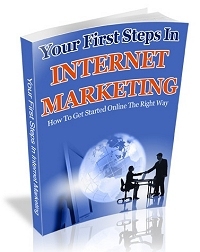 The shocking statistic is that 97% of people who try to make money online fail. Most of the time it really is not there own fault the learning curve seems so steep at times, so much to learn and apply. You see the difference between those that succeed and those that fail is that the ones that succeed have a definite plan. There lies is problem in a nutshell. How can you possibly have a plan when you are starting out? It seems like a Catch 22 situation. Maybe it’s all the techie stuff that puts you off? There seems so much to learn, and finding the place to start is a nightmare, this is what the Guru’s thrive on, because they will then tell you that you need the next product and the next piece of software and what do all these things mean anyway! With so much to learn, so many broken promises and to be frank crap products its no wonder so many people get disillusioned. You see Internet Marketing has had a bad press for too long far too many products that fail to deliver on their promises or just the same old systems rehashed and repacked. There really is a need for change! For something that not only delivers on its promises but massively over delivers on its promises. Wouldn’t it be amazing if you were given plans and advice that are proven to make money online today? Wouldn’t it be amazing if all the techie stuff was taken care of for you? You could have the peace of mind that you can concentrate on developing your business without having to learn a business from scratch and apply all the techie stuff at the same time. Wouldn’t it be amazing if that really happened? Get ready for change! You see there are some of us who have thought this for some time. Now it’s about to happen, I have teamed up with Internet Marketer Steve King and we have pooled together all our knowledge and experience. It’s called Madness or Magic, your complete business start up done for you everything you need is setup for you and even includes PERSONAL COACHING from Myself and Steve NOT one of our team it really is the business opportunity you have been looking for. How many times have you bought a business plan and found out you only have one of the pieces you need to succeed, not any more you get the lot in one package. Believe me it’s been well worth the wait. Are you in? Click the links for details of this amazing offer. Hi Mandy, Steve applied for Click Bank approval on Friday so we are just waiting on that now. What can I say, you know you have a great package here, and as soon as its hitting the cyber shelves, my review of this ‘incredible’ offer, will be hitting ‘The Ed Files’! I think this product package approach really is the best way to reach out to *new* starters on the internet looking for an online business venture. See you soon back here Rob….Ed. That’s the great thing about building relationships online….. Sounds like its going to be a great product with you and Steve on the team. Are you guys looking for any beta testers to give the product a run through, if you are I am happy to offer my services. Sounds like a great product and I’m sure you guys are excited to see it up and live. Sounds like what a lot of people are searching for so I don’t doubt that success will be headed your way. thanks for the post, Steve and I looked at what we would like to have if we started again, I downloaded lots of reports etc and hit information overload. It only started to make sence when I joined JT’s masterclass as the step by step method really helped to clarify my thinking. Waiting for CB approval fingures crossed! thanks for dropping by, you’ve got this spot on if either of us had tried to do it alone if would take a few months and we would have had to learn a few more skills etc. It makes sence to team up and make better use of each others skill set. Its good to see you and steve working together on this, another Dream team in the making perhaps! looking forward to seeing the product very soon! Hi Nick, that’s what we are hoping! Have got a whole series of ideas for products this year so keep watching. I have signed up and will promote on my blog. Also just to let you know Fran Aslam the renowned EzineArticles Expert Author will be doing a guest article on my site, 15 March 2011. Fran has got over 190 live articles; she will be sharing her wisdom on article writing, so mark it in your diary. I am promoting this as Fran is quite well known and it will spark interest. Hi Zahid thanks for the promotion very interested in th article by Fran any one with 190 live articles deserves respect. Very interesting article. I would love to have this product when its online. A risk is worth the benefits I guess. There’s no doubt that there are a lot of fraud software, techniques and even consultants nowadays. Making money online requires hard work and knowledge and it’s so frustrating that there are people taking advantage of newbies who are trying to make a living online.